Patella fracture has required years of dedication to recovery. Happily, I can report that all the dedication has resulted in nearly full recovery in function and ease. 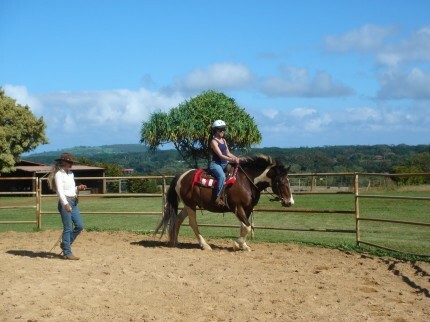 As pictured here, I can once again ride a horse, one of my great joys in life. I can also run barefoot on the beach on wet sand as dawn tinges the surf pink. Running on hard surfaces continues to challenge my injured knee. Alexander principles contributed hugely to my recovery. I had to continuously (and not always successfully!) inhibit pushing to a desired end. Being attentive to process meant choosing professionals to assist me who were Alexander compatible in their approach and thinking. Thus, I was expertly assisted by a terrific Physical Therapist, Heidi Gans, as well as by several incredibly skilled Gyrotonic instructors, Lindsey Burke and Magali Massac. Lessons with Senior Alexander Teachers, especially John Nicholls, aided me tremendously in making the best use of my self even with diminished conditions of self. My extraordinary Osteopathic doctor made a huge difference in his mysterious and effective manner as well. I am deeply grateful for all the highly skilled assistance! I learned that even with less than ideal conditions, such as one leg in a full brace, I could respond elastically and spring up from the ground, and that I could remain effective as a teacher despite serious injury. In fact, my injury improved my teaching, as my attention to use became more urgent and clear. It was a rough journey, but a journey of incredible education in the use of my self. Despite predictions to the contrary from my surgeon, I resumed most of my desired activities fully and joyfully. I have a slight reduction in flexion in my injured knee, and the above stated limitation in running on hard surfaces. Given the nature of the injury, these are minor complaints. The opportunity to work with highly skilled professionals in the interest of my recovery resulted in valued connections and relationships. I not only learned skills that I can convey to my students in terms of applying Alexander principles to injury recovery, but also gathered a bank of professionals to whom I can refer my students with confidence. Recovery was long and arduous, but yielded many gifts, not the least of which is my deepened patience and understanding of the global personal effect of injury, and the nature of the journey of recovery.